Observation notes: Time: ~1:30 p.m. Weather: Cool (~70 degrees), wet (recent rain), and partly cloudy. Habitat: Short-cut weedy area running alongside a pathway. 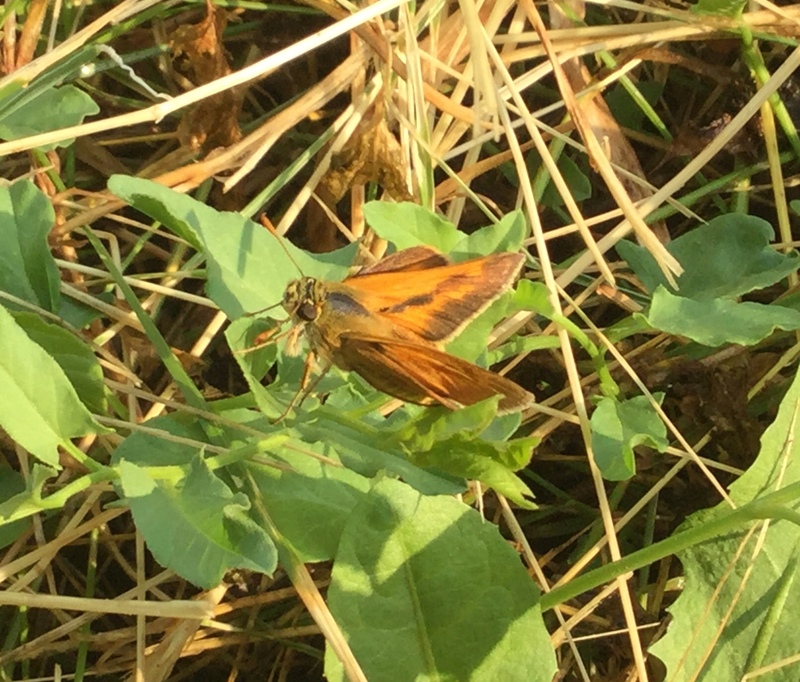 Notes: I’m fairly certain this is a Woodland Skipper, as the dorsal side matches pretty well, and I saw the ventral side, which also looked correct. The only reason I decided to go back and submit this sighting is because of the observation date (mid-June). 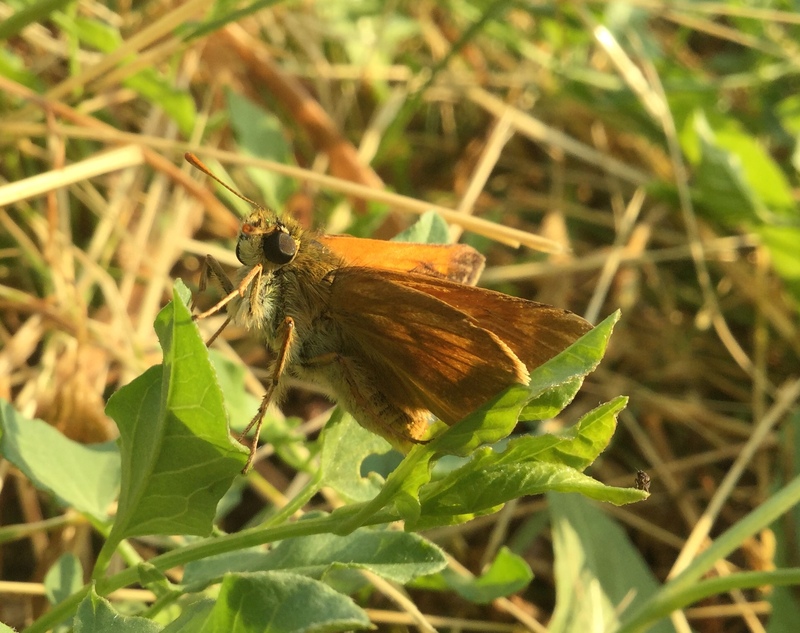 According to BAMONA’s profile for this species, their flight doesn’t begin until late July. Why was this one out so early?